What’s the Expanding College Opportunity video series all about? It’s a unique opportunity to watch an up-close, casual, and occasionally hilarious video presentation on planning and preparing for college with Author Stanley B. Lemons. 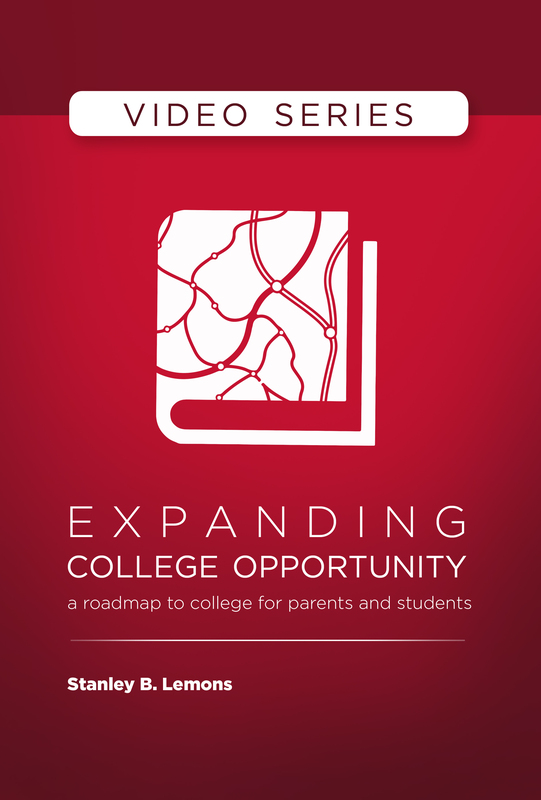 The Expanding College Opportunity video series complements the Expanding College Opportunity book and student workbook. With Stan’s Expanding College Opportunity video series and both the book and student workbook in hand, you’ll be ready to tackle the college admissions and financial aid process at any U.S. college or university … and WIN. Running Time: 7 Episodes. 1.5 hrs.